RX7 Mazda . Performance for the 86-91 RX-7. 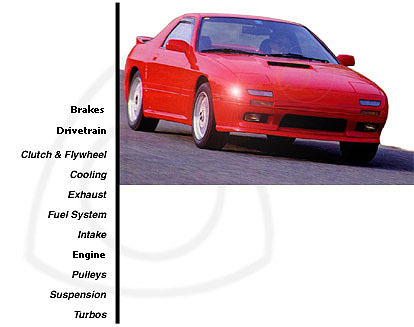 The 2rd generation Mazda RX-7 is fast but it can become blindingly quick with some time proven modifications. pollute a little more you can create the razor sharp sports car you've always wanted.